With the weather being so warm and humid, Malaysia isn’t exactly the picturesque place for a white Christmas. Nevertheless, Christmas is one of the most widely celebrated holidays in Malaysia. Every Malaysian, no matter who they are, hops on the Christmas cheer come December. And like any country, we have our own special way of celebrating Christmas. Here, we will tell you the 10 unique ways Malaysians get into the festive spirit. On Christmas Eve, at 12 on the dot, Malaysians everywhere welcome Christmas the Malaysian way, with tons of fireworks lighting up the night sky. Were you getting ready for an early night? Too bad, with all the lights and the crackle, we doubt you’ll be getting any sleep till way past midnight! So just join in and enjoy! Choosing the perfect gift for your friends and family is a real hassle. Most Malaysians get around this problem by giving out money in red packets or Ang Paus instead. We all know what we want for Christmas, so why not buy it ourselves with the money from Ang Paus? It just makes sense. If there is one thing Malaysia is known for, it’s our food, and during the festive season you’re sure to get a banquet’s worth of it. Malaysia is filled with rich mix of culture, which means an equally rich mix of foods. You’ll be spoiled for choice on what type of food you should get for Christmas; Malay, Chinese, Indian, Western, Indonesian, there’s just so much to choose from. Fireworks are not the only thing we light up on Christmas. At this time of the year, you will find the Christmas lights setting the jolly holiday mood along with the sparkling decorations. Every mall in every corner of the country will have its own lights and decorations, which they will show off to the world, spreading the Christmas spirit even further. A great photo opportunity for the entire family! Every major occasion is an opportunity to go out sightseeing to fully experience the festive season. We Malaysians have our own hotspots that we like to go visit such as Suria KLCC, Berjaya Times Square and Pavillion. And not just in the city, we like travel too. Some of us like to take the family away from the hustle of the city and go to places like Cameron highlands, Langkawi or Penang. However no matter where we go, there will always be that festive buzz! Of course, one of the things most people look forward to at Christmas is the year-end sales. With some discounts going as high as 80% off, we all turn into shopaholics and start spending 90% of our time in the malls. Well, we were planning to spend our Ang Paus anyway so why not indulge! While it is tradition to have a nice big turkey during Christmas, you will be hard pressed to find something like that in Malaysia. So instead, some of the Malaysians opt for chicken, not just any chicken, fried or roast chicken. With so many places serving the crispy, juicy stuff all over the country, is it any wonder that fried or roast chicken is the Christmas dish of choice? It just wouldn’t be Christmas if there wasn’t a wild Christmas party. Nightclubs, bars, community halls, restaurants, everywhere you go, you are sure to find a Christmas party going on. Some of them even get into the Christmas spirit with hot chocolates and cookies. There is something for everyone as long as you look for it. Like any other occasion in Malaysia, we celebrate Christmas with everyone, no matter who they are or where they are from. This is one trait that makes Malaysia truly unique. Whether it is Deepavali, Chinese New Year, Hari Raya or Christmas, we will always celebrate these holidays together as one. 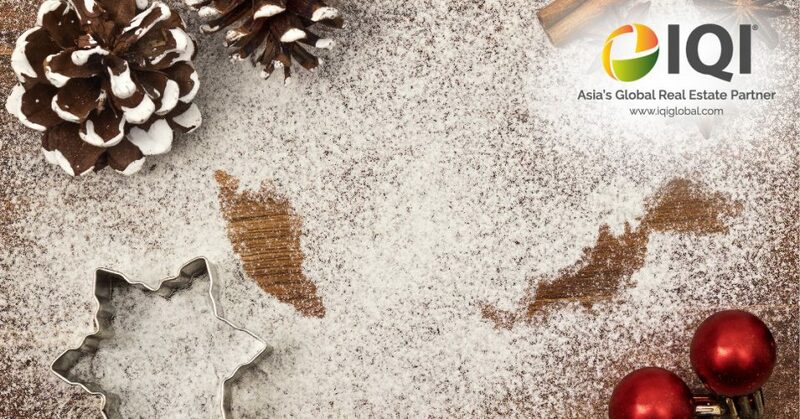 Whatever holidays you celebrate, in Malaysia you will get caught up in the festive buzz and Christmas is no exception. So embrace the spirit of Christmas and get be a part of the happiness. We wish you all a very merry Christmas and a ridiculously happy new year.